Lava Grip comes in 3 different sizes. LavaGrip is made of uniquely shaped rocks…as unique as snowflakes. The pieces of lava have jagged surfaces. There isn’t enough surface area coming into contact with shoes or boots to stick and be carried inside buildings. Instead, the jagged shape grabs the surface of the ice or ground. The odd piece might get stuck in a shoe or boot tread but you will be delighted that it doesn’t stick and track into your home or business the way other products do. LavaGrip is sourced from the Nazko Cone found 100 kilometers west of Quesnel in British Columbia, Canada. The volcano sits on the traditional territory of Nazko First Nation. The product is mined and produced by CanLava Mining Corp., a Canadian mining company headquartered in Coquitlam, British Columbia. The volcano last erupted some 7,000 years ago. This was after the last ice age and the deposit is the only post-glacial lava rock in Canada. This means that the lava in LavaGrip has strength and is not softened. The beautiful thing about LavaGrip is that it works at all temperatures no matter how cold it gets. Salt stops working at -6C and even chemicals stop at a certain point (and think what is in them to make them keep working below freezing – it can’t be good!). We had fun testing it on different ice surfaces and down to temperatures as low as -40C. It keeps on grabbing and why wouldn’t it – it’s been around for 7,000 years in the harshest of climates! 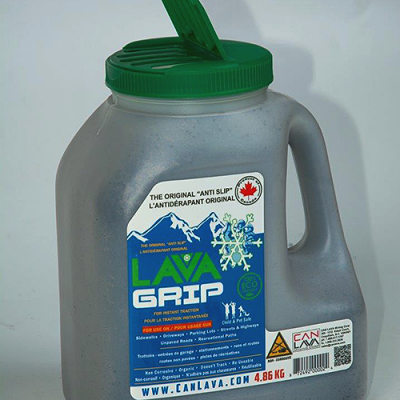 LavaGrip is inert and doesn’t burn or irritate paws. 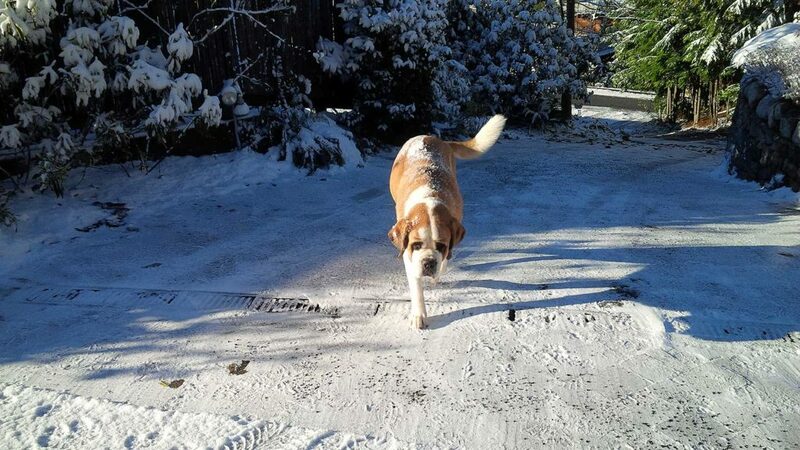 Gone are the days of washing your pet after a walk in the winter. 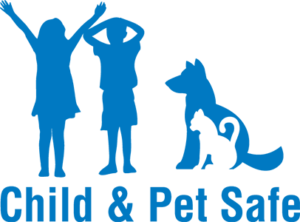 Or better yet, the pet won’t feel the need to immediately lick off any of the irritant. 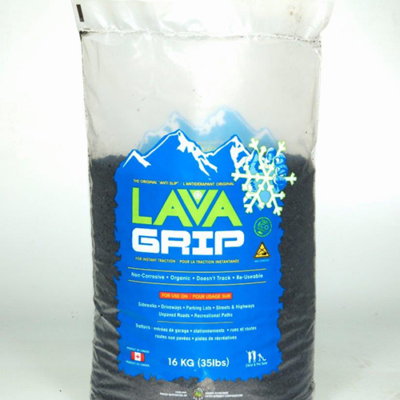 LavaGrip doesn’t have salt content so there is no fear of attracting mouths of pets and even wild animals and birds. We really like the idea of you sweeping LavaGrip into the garden at the end of the season so you buy more next year. But the fact is, we are more concerned about sustainability. Then tell your friends so they buy LavaGrip too! 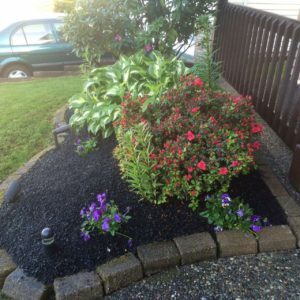 We encourage you to sweep up LavaGrip and use it year after year. Over time, some of the lava chips up into smaller pieces but a single year’s supply can last you many years if it’s swept up. LavaGrip is black and is easily seen against ice and snow. It prompts people to be wary of the conditions and recognize that the area is slippery.